 ​MH Signature Journeys partners with businesses, organizations and clubs to host amazing affiliate group trips. Share your passions with your VIP clients and members, raise funds and travel for free. Ideal for: Vineyards, Wineries, Restaurants, Scuba Clubs, Non-Profit Organizations, Social Clubs and Groups. Also great for fundraisers! Partner with us to plan a trip for your members. Invite members to participate in your luxurious getaway. Get revenue share on each room or cabin you sell. Travel for free. Book at least 20 passengers to earn a complimentary cabin for 2. Build customer loyalty by traveling with your customers or members. Stand out in your industry with a memorable trip. Done-for-you travel arrangements, complete with Virtuoso amenities and benefits. Call 800.552.6103 or 302.442.0225 or contact us for more information.